Rapper Kid Ink has become a huge hit and has been dropping bangers after bangers, and one of them is his hit single ‘show Me’ featuring singer - Chris Brown. 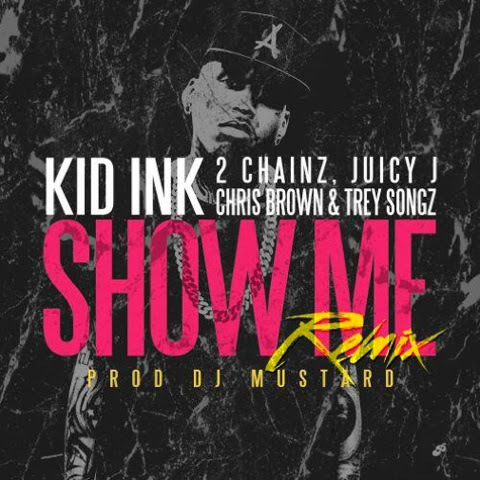 The single which is off Kid Ink's #1 selling debut album ‘My Own Lane’, released in the last quarter of 2013 has officially got a remix to it featuring 2 Chainz, Juicy J, Chris Brown and Trey Songz. Each artist holds it down on their verses - the song is definitely one of the best hip-hop songs that came out in 2013 and carried through to 2014.